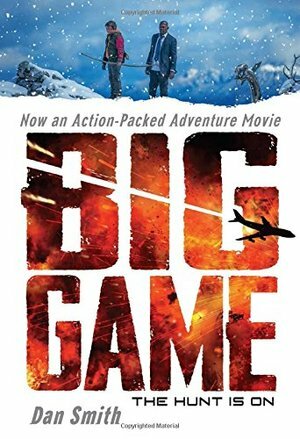 A boy hunter, the president of the United States, and a terrorist plot converge to create an original and thrilling tale of wilderness survival Every boy in Oskari's remote mountain village must face a ritual hunt on his thirteenth birthday--the Trial--to become a man. It's Oskari’s turn, and whatever animal he kills--if he succeeds--will symbolize who he will become. But the idea of spending a night alone in the forest makes him queasy, and the ceremonial bow he has to use is too big for him. Not long after he sets out, Oskari comes across a strange creature in the woods, emerging in eerie blue light from a smoking steel pod. He assumes it's an alien, until the figure introduces himself . . . as the president of the United States. Air Force One, sabotaged, has crashed, and the president is running for his life. Will Oskari be brave enough, strong enough, and smart enough to save the president and himself? Soon to be a major motion picture starring Samuel L. Jackson as President of the United States!